Ocho – OCHO has become a must for us anytime we are even near San Antonio, TX. For breakfast we always pick OCHO since we are early risers & tend to have the restaurant to ourselves for a bit before it starts to fill out. Which anyone with children knows, that is GOLDEN! A gorgeous restaurant, overlooking the famous San Antonio Riverwalk all to ourselves is a dream come true. This picturesque restaurant is as delicious as it is beautiful. 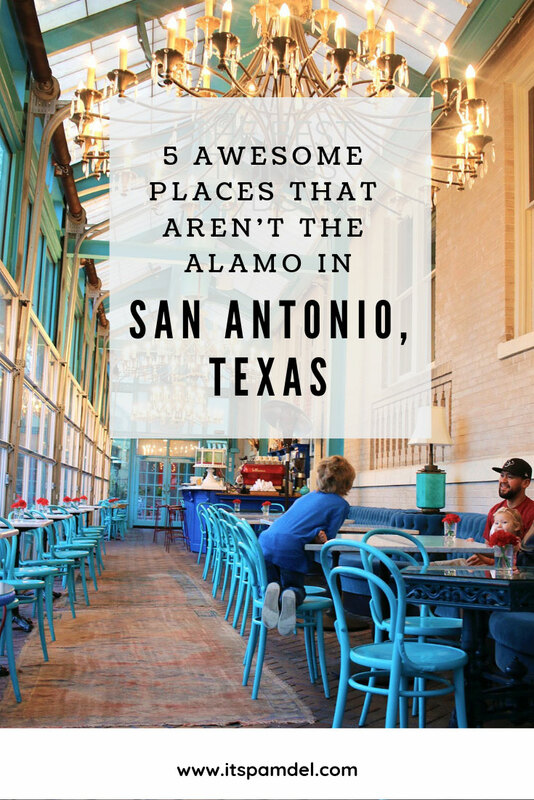 It’s a must for any San Antonio visit. The Saga – When we got into town on Friday night we decided to check into our hotel & then bop straight over to the San Fernando Cathedral to catch the light show I had been so curious about. It didn’t disappoint! It is the history of San Antonio projected onto the gorgeous San Fernando Cathedral with music to go along with it. We got there at the end of the 9pm show, watched the end & then waited for everyone to scatter to get prime seats for the next full show. Free show. TIP: There are food trucks & vendors, grab a hot dog, cup of corn and drink while you are there. TIP: Get there a bit early (at the end of a show) for prime pick of seats. TIP: If you don’t have a hotel downtown, expect to pay for lot parking. We paid $11. San Antonio Mission National Historical Parks – So instead of going for the Alamo, for our historical bit of San Antonio, we went to the four missions that make up the San Antonio Mission National Historical Parks. The missions did NOT disappoint, from the crumbled living quarters, the smaller but gorgeous churches & then there was the Mission San Jose…which is the crown jewel of all the missions. They are all around 250+ years old & it’s amazing to see buildings that took to the test of time. Free parking & free entry. TIP: Start at Mission Espada & work your way up for big impact. They get better as you go on, but the last will disappoint after Mission San Jose. TIP: Bring snacks, it took us roughly 4 hours to get through all four missions. Even starting when they open at 10 am brings you past lunch. TIP: Totally stroller friendly but bring something better than an umbrella (lesson learned). Sunken Japanese Tea Garden – Breathtaking. Oh my goodness. There’s this view as you walk out of the tea house and overlook the garden that is just amazing. You can see tons of the garden, the 60ft waterfall & it’s just unbelievable. I stood in awe for a moment, thinking how could this possibly be here? Such a jaw-dropping garden & so unassuming as you drive by. Free entry & free parking. TIP: Do NOT bother with a stroller, like at all. Impossible. TIP: Stop into the tea house for a delicious tea & sweet treat. Natural Bridge Caverns – The caverns are especially nice during the summer days when it’s sweltering outside but the caverns are still cool. It is the largest underground attraction in Texas & is sure to take your breath away! There is also zip lining weather permitting!